If you like watching football on TV this app is for you. Don't miss any match any more. Football on TV is an app that will let you find the channel that broadcasts live the football match you want to watch. You will get the most accurate TV listing of football matches as well as notifications for kick offs and live events as goals. 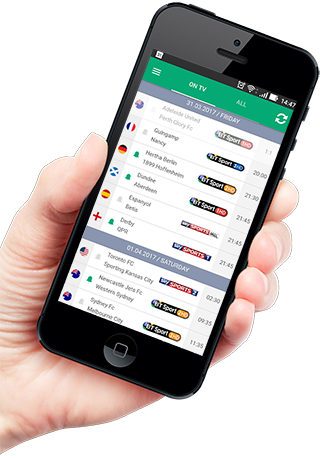 You can also use the app as livescore giving you information about live results for all popular football leagues around the world with rich statistics. Football on TV and livescore is product of Media group 24 Ltd.